FED4SAE is part of the Smart-Anything-Everywhere Initiative. The three-year project aims to facilitate the acceleration of European Cyber-Physical System (CPS) and Embedded Systems solutions to market and will boost digitization of European industry by strengthening companies’ competitiveness in the CPS market. It is targeted at European start-ups, SMEs and midcaps in all sectors dedicated to building and creating novel and innovative digital products and services addressing new markets, such as smart cities, smart agriculture, smart food, smart health and wellbeing, smart building, smart transport and others.  Develop novel and innovative smart solutions that will enable them take a leading position in their target markets. 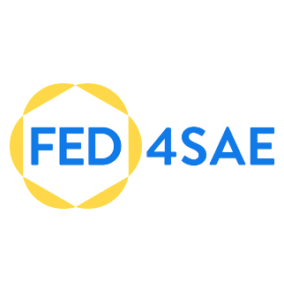 Through our open calls, FED4SAE provides a unique marketplace organized as a one-stop-shop with access to leading-edge industrial platforms along with access to several advanced technologies and testbeds as well as support through expertise, know-how, coaching, design support, tech transfer from our partners. Application Experiments will receive relevant business and innovation management support - linking applicants to suppliers, well-connected business infrastructures and existing regional innovation hubs - to facilitate the industrialization of the developed solution. On top of that, we are providing up to 60.000 € of funding for the selected proposals - at a funding rate of 70% of the budget – to support the development of the proposed solution.  Neural Compute Stick from Intel – Computer Vision at the edge.  Compute Card from Intel – a credit card sized computer. To benefit from our acceleration program, apply to our open call to develop your innovative solution. Each Application Experiment is based on a combination of one of our industrial platforms with an advanced technology or testbed - or extensive coaching in case TIME4SYS or IODP are used. The expected outcome of our Application Experiments (ranging from between 9 to 18 months) is a demonstrator prototype for software-intensive or system integration projects with high technology readiness level (TRL). The prototype may also be used as a first generation product. Our Networking Partners are pleased to help applicants with registration, submitting proposals and finding the right industrial platforms, advanced technologies or testbeds that best suit your needs. Applicants should use the proposal template when writing their proposals. Important guidance as well as a detailed explanation of our rules, the types of experiments we support and more information about our platforms, technologies, testbeds and competences can be found on our website www.FED4SAE.eu and in our Guide for Applicants.